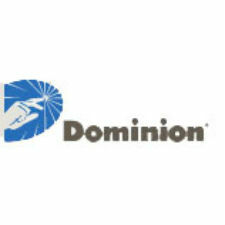 The State Corporation Commission has approved a Dominion Virginia Power program designed to identify existing outage-prone overhead distribution lines and replace them with new underground facilities. Approximately 400 miles of lines serving nearly 6,000 customers are being replaced. In approving the pilot program, the Commission placed a $140 million hard cap on the investment for the program. The company will recover that investment through a rate rider on the monthly bills of all residential and small commercial customers. Known as Rider U, the rate adjustment clause will take effect around September 1, 2016, and add approximately 50 cents to the monthly bill of a typical residential customer. In its final order, the Commission stressed that, “approval of this initial pilot-type project does not predetermine approval of any other investment in the strategic underground program (SUP).” Depending on the results of the pilot, the company’s long-term vision for the full program is to underground up to 4,000 miles of lines serving as many as 150,000 customers. The Commission directed the company to provide annual reports to demonstrate both the local and system-wide benefits achieved by the program. In addition, the Commission emphasized that other programs to ensure reliability of the entire system must be maintained, including right-of-way clearing, vegetation management, overhead line strengthening, and deployment of storm response resources.